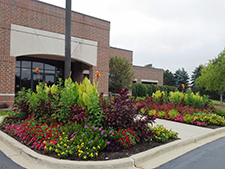 Landscape Services – WLCA Design Award Winner! 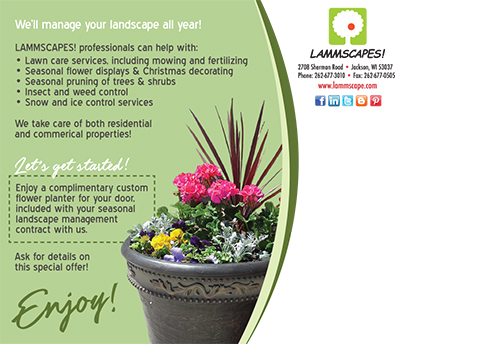 Download a fillable PDF application to Join Our Team & Email to mail@lammscape.com. Our team of landscape professionals are ready to help you plan, install and manage your landscape. No matter how large or small, your project will be customized to fit your needs and desires. Call us today 262-677-3010 to get started with a consultation in our Design Center April-December or by appointment. 3 Design Steps to a Beautiful Garden! 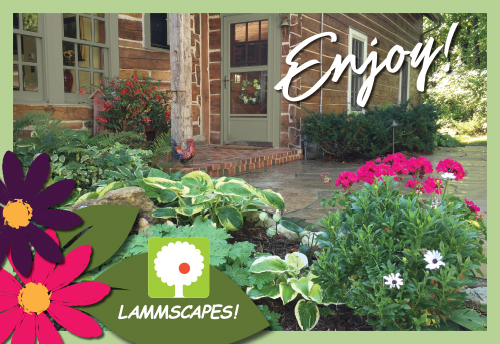 Our landscape designer or architect will learn about your vision, evaluate your land and surroundings, and propose ideas to make your vision come to life. 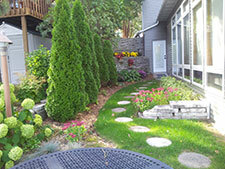 We will suggest creative ways to make your landscape uniquely yours and determine the best location for focal features such as a patio or arbor. After deciding on design features, we take measurements and photos of your property. A list of the features to include in the design, color and material preferences is prepared. 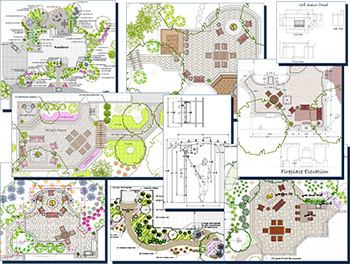 We create a customized drawing to scale to reflect vision listing plants to use in your project. LAMMSCAPES! 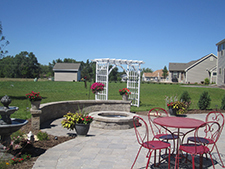 can begin construction to make your garden space a reality — as envisioned by you! 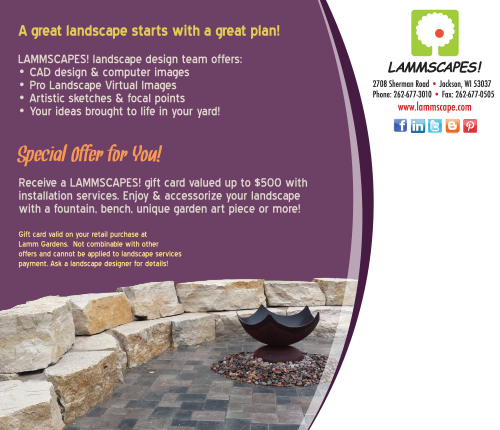 Virtual landscape designs are available. LAMMSCAPES! is proud to be a sponsor and provide services for military families.